As I wrote in 3 Reasons Alaska Miles Aren't Worth Earning, I've soured on earning Alaska miles for the reasons I explained. Now I have another reason to avoid Alaska miles: they froze my account, which fortunately only had 300 miles in it, since I focused on burning Alaska miles as they lost their luster. Their reason? They suspected me of being a mileage broker, and of buying/selling miles. Needless to say, I've never bought or sold client miles; my Award Booking Clients must have their own miles or points, and all I do is help them flight awards that best meet their needs. And it would be easy for Alaska to verify that all the awards in my account are for my family and me. “As you may know, we have placed a hold on your Mileage Plan account that prevents you from redeeming miles. We enacted this hold based on our determination that you bought, sold or bartered award tickets in violation of the Mileage Plan Conditions of Membership. In order to preserve the superior benefits currently offered to Mileage Plan members, we cannot allow third parties to market mileage awards outside of the auspices of the Mileage Plan program. If you believe this determination to be in error, please contact Alaska Airlines Customer Care at (800)-654- 5669. Please understand that your mileage balance remains intact and you may continue to accrue miles. However, before we can reactivate your account for redemption activity, we require you to acknowledge below that you have read the Mileage Plan Conditions of Membership and agree to abide by all those terms (as they may be amended by Alaska from time to time) as long as you remain a Mileage Plan member. We reserve the right to deactivate your Mileage Plan account, void all or part of your mileage balance, and/or revoke your elite status if you engage in future activity that violates the Conditions of Membership. We will reactivate your account within ten days of our receipt of your signed and dated acknowledgment. Return the letter at your convenience, along with a copy of your State ID not passport. Nowhere does it say I can't provide advice to my clients on Mileage Plan award availability and how to book (unless Alaska takes an overly broad interpretation of “facilitating Mileage Plan transactions”). But it does seem to indicate that I (and all other award booking services) can't book the awards for clients directly, as that would fall under issuing Mileage Plan tickets. So I've added a statement in our Award Booking Terms that for Alaska Mileage Plan, we'll find award availability, but clients will be responsible for actually booking the award. Have you or anyone you know ever been flagged by Alaska, another airline, or credit card company for allegedly violating their rewards program? 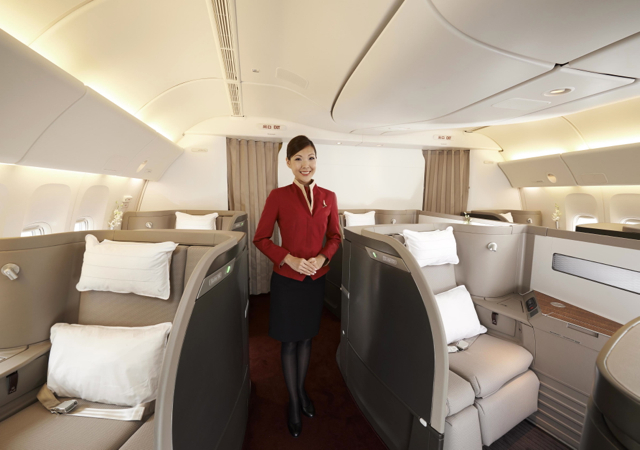 Book 2 Cathay First Class Awards with Alaska Mileage Plan Miles?